The Google Analytics Validator is a Google Sheets add-on. It lets you build a spreadsheet of all the accounts, properties, and views you have access to in Google Analytics. Then, you can select any number of these properties to populate a second sheet, where each Custom Dimension configured in the property is displayed with its name, scope, and active status. Finally, you can poll for the last 7 days data for any selected property/view to see if the Custom Dimension has collected any hits. The add-on is completely free to use. It’s a hobby project, but I would still welcome any feedback. 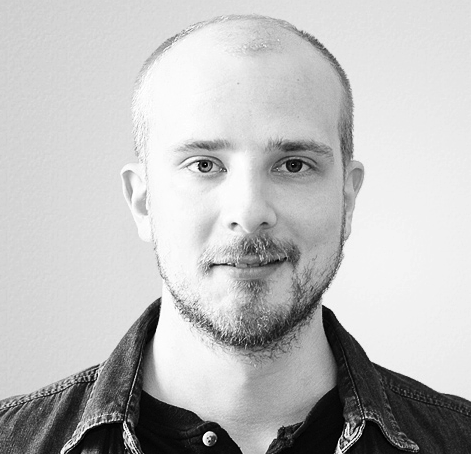 You can send the feedback to simo (at) simoahava.com. In Google Sheets, open the Add-ons menu, and click Get add-ons. You should see the Chrome web store window open. Enter “google analytics validator” into the search field and press Enter. You should see the add-on appear in the search results. Click the + FREE button. You will be asked to sign in with your Google ID, and then approve the add-on access to your data. 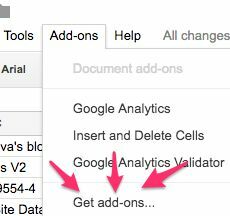 The add-on requires read-only access to your Google Analytics data, and read and write access to your Google Sheets account. You are then ready to use the tool! You can download the open-source code from the GitHub repo: ga-validator-apps-script. You should see the Google Analytics Validator menu item in the Add-ons menu. You might need to reload the page if it isn’t there, or if it seems to be missing all its menu items. First, click on 1. Build Google Analytics hierarchy. This collects all the Google Analytics accounts, properties, and views you have access to, and builds them into a new sheet with the name “GA Hierarchy”. NOTE! If this sheet already exists, it is overwritten. Next, type the letter x or X in the Select for analysis (x/X) column for each property/view that you want to include in the Custom Dimension analysis. Once you’re done, click on 2. Run validator in the menu. This creates a new sheet named “GA Dimensions” (overwriting any existing sheet with the name), where all the dimensions from 1-200 are populated with values drawn from the properties you selected for analysis. Finally, you can select any cell in a data column, and then click 3. Fetch last 7 days data… in the menu. This populates the LAST 7 DAYS column for the given view, fetching data from the last 7 days for each dimension that is active. The data that is fetched is the ga:hits metric. It gives you a master list of accounts, properties, and views you have access to. It lets you see how Custom Dimensions are configured across properties. It lets you analyze which Custom Dimensions have not collected any data recently. The Google Analytics Validator collects no information from its users. It is an API tool for building sheets of data based on your Google Analytics account and data hierarchy, and no usage information is collected or used in any way. The only thing the add-on logs is the generic Google Cloud Console API usage statistics, which tells the owner how much the enabled APIs are being used, but this data cannot be use to identify users or individual use patterns. No user or usage information is used. The only thing the owner monitors is API usage, so that it can be determined if quotas need to be increased to ensure the tool works smoothly. No information is shared with third parties, with other users, with analytics tools, with marketing partners, or any other party. Please read these Terms of Service (“Terms”, “Terms of Service”) carefully before using the Google Analytics Validator extension (the “Service”) operated by Simo Ahava (“us”, “we”, or “our”).